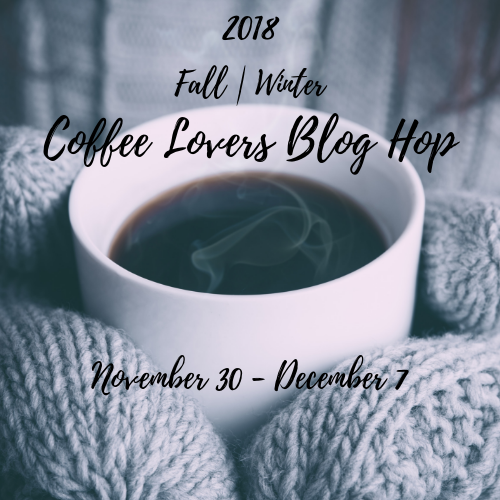 Today is the 1st day of the 2018 Fall/Winter Coffee Lovers Blog Hop! I prepared two cards together as a DT of Coffee Lovers and WOW! Embossing Powder. Woo-hoo! First, I started with clear heat embossing the background from Simon Says Stamp Christmas Sweater onto kraft card stock. I stamped Hero Arts Color Layering Squirrel Stamp Set using die inks and die cut it with coordinating die. I then stamped coffee cup from Hero Arts My Monthly Hero August Kit and colored it with Copic markers. 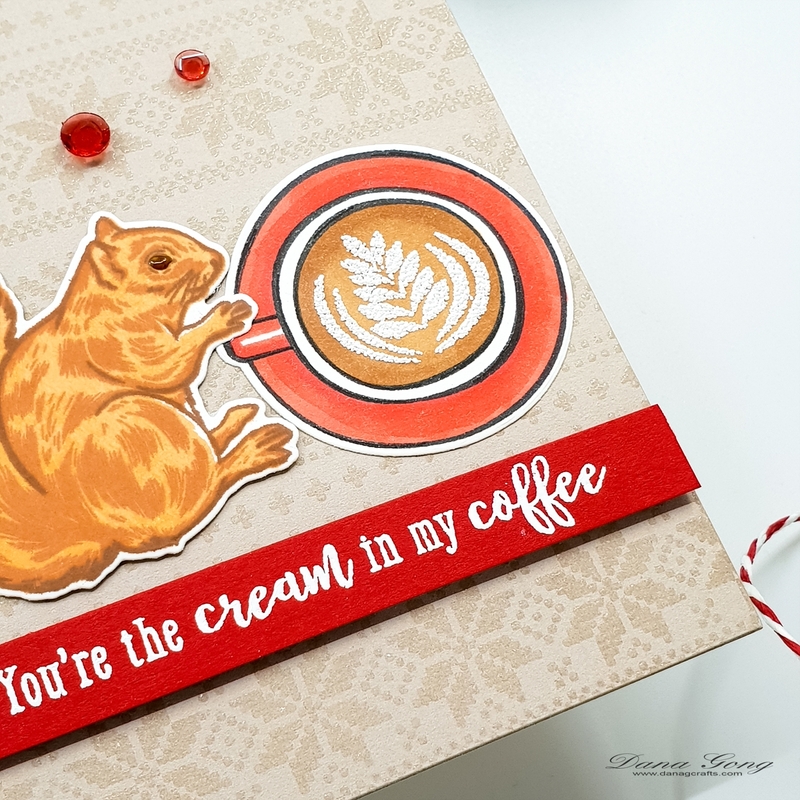 I heat embossed latte shape and sentiment from same stamp set as shown in the picture. I finished off this card by mounting all elements using glue and foam adhesive and adhering some red crystals from Studio Katia. For my second card, I white heat embossed a same background from SSS onto grey card stock. I used puff embossing powder and it is really pretty! I then colored image from SSS Cocoa and Love Stamp Set with Copic markers. I added sparkling details using embossing powder as well. I gold heat embossed a sentiment from same stamp set and popped up sentiment panel and cute Santa as shown in the picture. I embellished my card with green crystals and finished off this card. Thank you so much for joining me and happy hopping everyone! 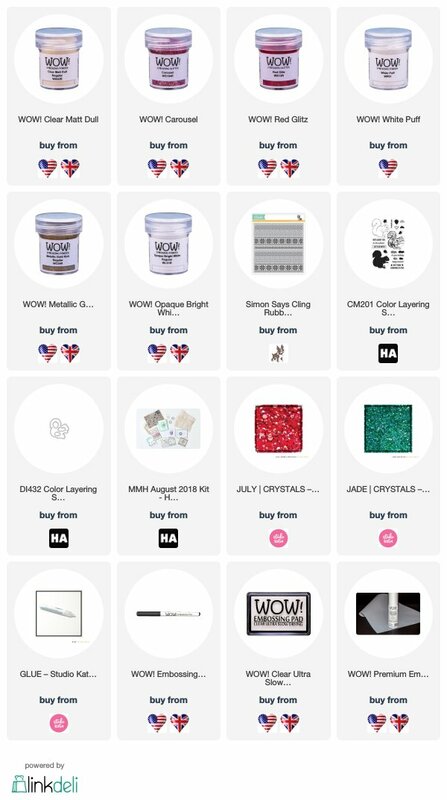 WOW Embossing Powder is giving away 2 x $10 Gift cards if you leave a comment on the WOW! Embossing Blog and the Creative Team listed below. I LOVE this nutty little squirrel! 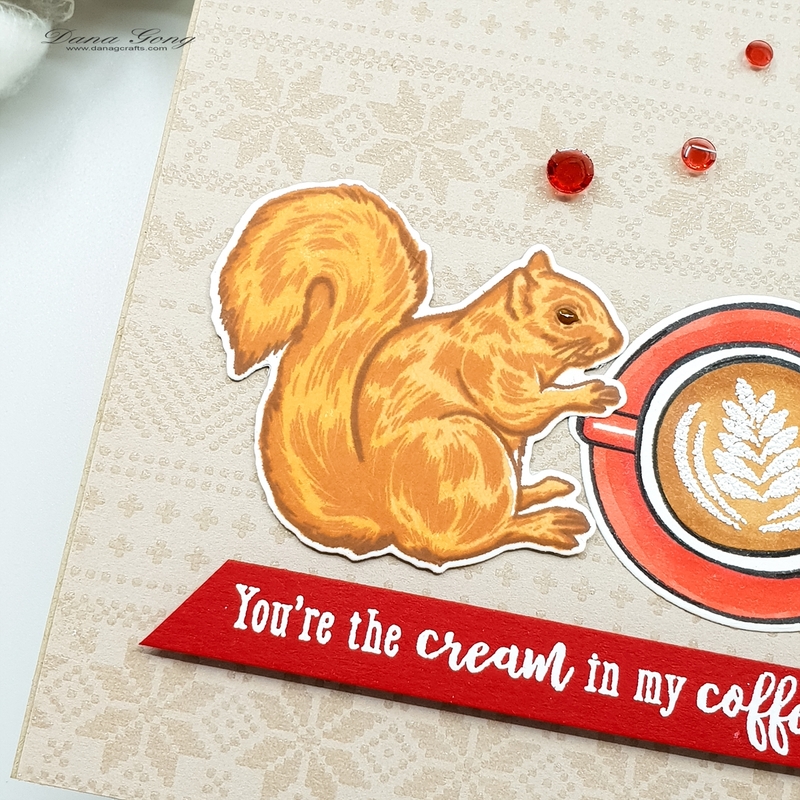 He's so perfect for a coffee themed card! Love the color too! Both cards are so cute Dana! Dana, how fun...love that squirrel with her big coffee! Your sweet mouse card with the beautiful background and pop of green is pure perfection. Both of your cards are so cute! Love the embossed backgrounds! I love the little critter! Too cute! Both are great embossing! lovely cards, the mouse is so cute! Adorable cards! :) I love that squirrel. Both are super pretty with your wonderful background! Love them! great cards! that mouse is so cute!!! What sweet and adorable cards! Thanks for sharing and have a latte great day! Those cards are so well designed and just darling. SQUEAL!! Such AMAZING Projects!! THANKS for sharing and for the chance to WIN!! Have a FABULOUS WEEK!! I love how you embossed the sweater background on both cards. They are adorable cards. SO so sweet!! Love both of these! Fantastic images and fun backgrounds! Thanks for all of the inspiration you provide Teamie! Such adorable cards, Dana. Love the gorgeous background. And Cocoa is sooo very sweet! Beautiful cards. Both these cards are just gorgeous! I love the super backgrounds and sweet little animal images! Thanks so much for the inspiration! Dana, such awesome cards. I really like the squirell one, so cute! these are super sweet cards! Oh what happy critters with their coffee. Fabulous cards and wonderful designs. Your cards are adorable. Thanks for sharing these precious designs. They are both just too cute.... I love the gorgeous backgrounds on them too!! Wow! Such gorgeous cards! Love the embossed backgrounds. Beautiful!!! SO super sweet. Thanks for being a part of this amazing coffee-lovers event. I love how you embossed the latte pattern on the first. It really pops. The background on the 2nd is awesome. The embossing gives it great texture. Both cards are great! Both projects are awesome! I just love that little squirrel!! !